Just like the roads, the airways have busy, peak travel times. Avoiding the peak travel periods on the streets has the benefit of preventing the frustration of sitting in bumper-to-bumper traffic, going nowhere fast. Avoiding the peak travel periods on airlines has the advantage of saving you a lot of cash. Choose your travel times wisely, and you could save a bundle on that pricey airfare. There are a few different kinds of peak travel times. The first peak travel time is the time of the day itself. Mid-mornings and mid-afternoon are busy for the same reason the roads fill up during rush hours. These flights are usually packed with business travelers who are flying out of town for meetings in the morning and flying back home in the afternoons before dinner. To save some money, skip the business traveler’s routine and consider taking a flight during less busy times. Very early morning and very late night departures or arrivals are not a lot of fun, but they may be the cheapest tickets going. Also look for flights that take of in the late morning or early afternoon, when the business travelers are likely to be working. There may be empty seats on these flights you can get for a bargain price. Another type of peak travel is the day of the week. Mondays and Friday are the most expensive days to fly, again because of business travelers. These are the days for heading out for work trips and heading back home again. Tuesday and Wednesday, by comparison, are the cheapest days to fly because the demand for seats is the lowest on these days. If you can fly midweek, do it. Your savings may be significant. If possible, you should also include a Saturday stay on your trip. If you stay over a Saturday night, the flight will be considered an “excursion” fare rather than a “business” fare so that the price will be less high. The other type of peak travel is the season or time of year you travel. The peak travel period is different depending on the destination. To figure out what is the peak travel period is for your goal, ask yourself when the tourists are most likely to flock there, and there you have your peak season. For instance, Americans often travel to London in the summer when school is out, and the London weather is nice. Significantly fewer people want to travel to London in February when the weather is cold and rainy. The opposite is true of the Caribbean. The winter is peak season, thanks to the influx of tourists fleeing their cold winter weather, but tourists often avoid the area during the summer because of the soaring temperature and the threat of hurricanes. That doesn’t mean that visiting places in the off-season is unpleasant. It has its benefits in major tourist destinations, where you won’t be fighting the crowds to see the sites or waiting in long lines to get a table at a restaurant. Many local attractions also have sales in the off-season, so you may find other bargains when you get there. 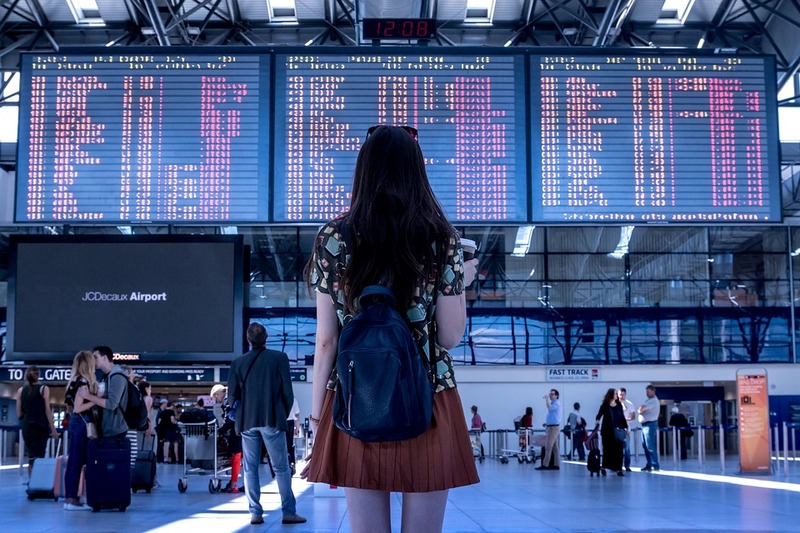 If you have the freedom to plan your trips around these peak travel times, the reward could be a discount of several hundred dollars on your plane ticket. For many travelers, it could be well worth the convenience you forgot to save a significant amount of money on your card. Beat the crowds and line your pockets with your savings!